Every now and then I like to share some photos of the unique modes of transportation I run acoss on Bourbon Street and the French Quarter, be it horse drawn carriages or expensive sports cars. It’s always interesting to see what’s rolling down Bourbon Street. Of course you’ll see plenty of buggies passing through. They are slow, leisurely, and often entertaining with the right driver. Some folks have mentioned they are somewhat expensive but that’s just the cost of green energy policies. 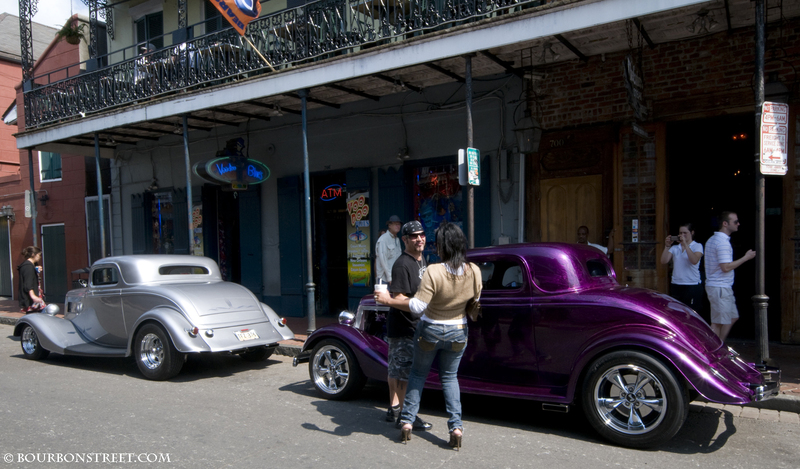 If you drive to Bourbon Street and have a fine car to show off you will not be dissappointed. People love fine automobiles and love to get their photos taken next to them. 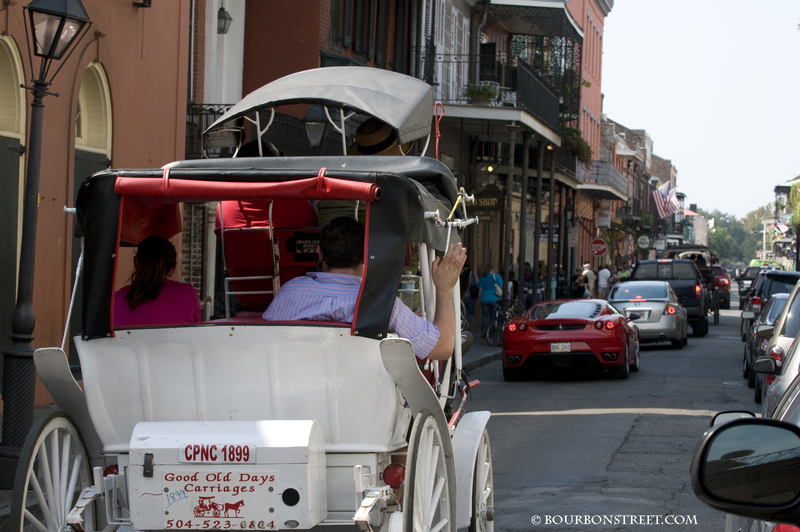 If you do bring an expensive auto into the French Quarter you may want to get it to a safe place before it gets too late in the evening because some folks tend to get intoxicated and you may end up with a drunk across the hood. 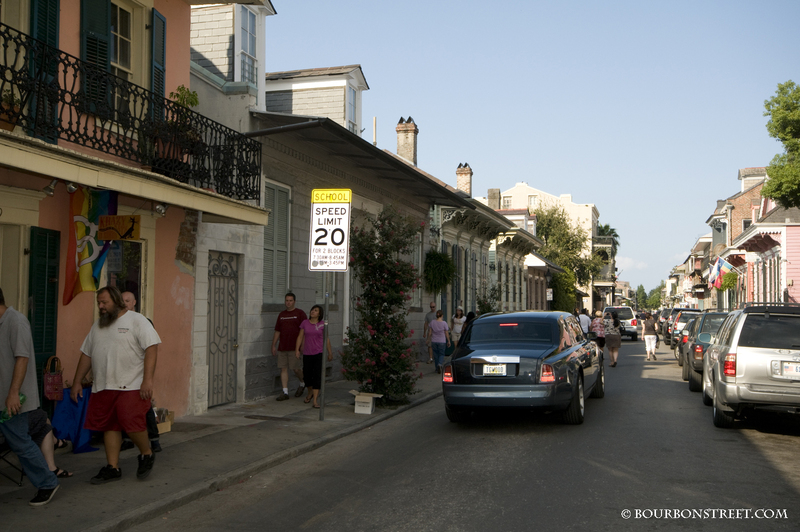 Don’t forget that there’s actully a school zone on Bourbon Street and even if you drive a Rolls you still have to slow down and watch for children. 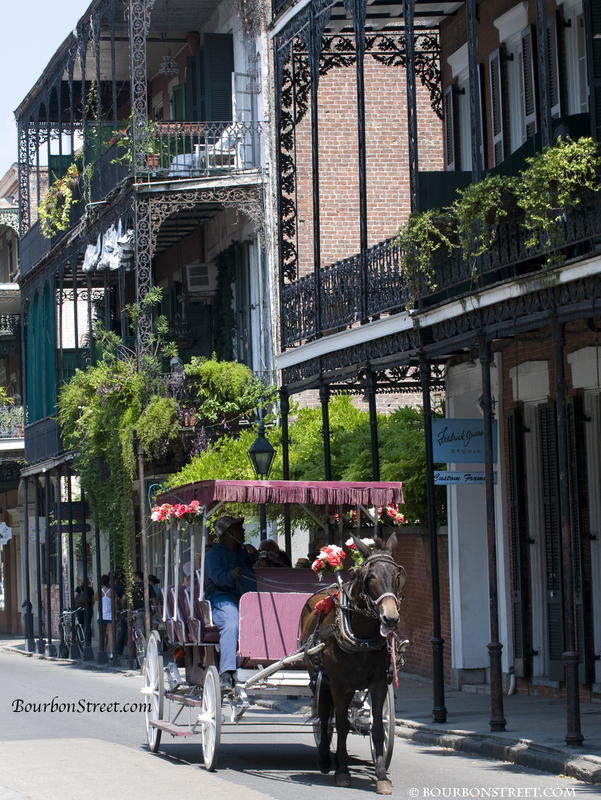 You may cruise through the French Quarter in your Ferrari but don’t be surprised to see a horse drawn carriage keeping pace with you. The Ferrar might be more of a chick magnet though I’m not sure because I’ve always found chicks dig horses for some reason, probably not the ones attached to a wagon though. The street cars can bring you right up to the end of Bourbon Street and the edge of the French Quarter but they don’t actually go into it. Check back later for more updates on the wild rides on Bourbon Street. 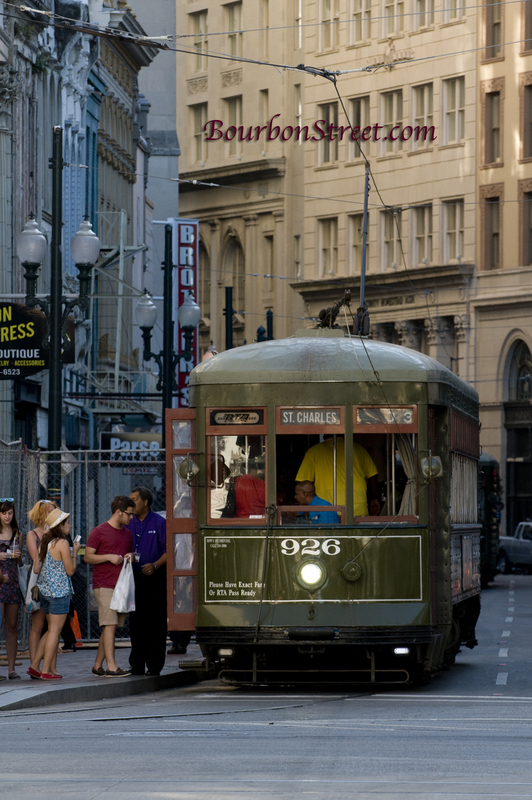 If you’re looking for posters, prints, or photos to frame of Bourbon Street or the French Quarter you should check out the links below. 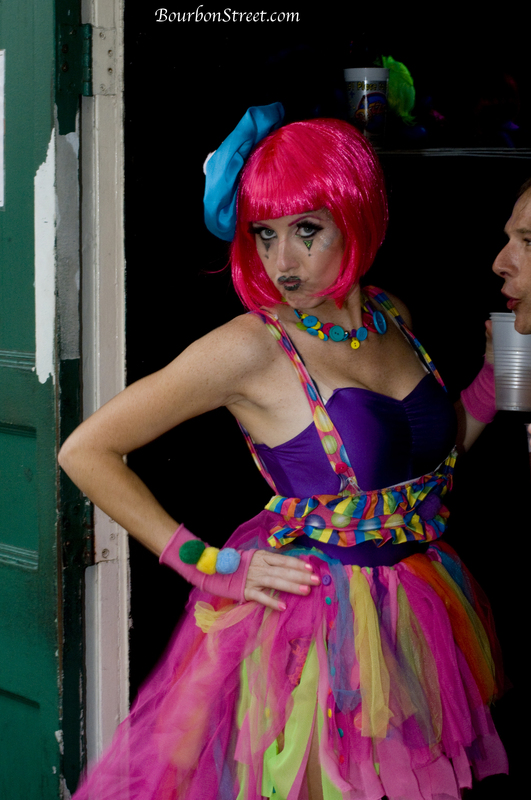 There’s certainly no dress code for visiting Bourbon Street. That’s one of the many things that makes it such an interesting place to be, especially for those of us who enjoy people watching. Whatever you do don’t forget to take some photos. And don’t forget to share them on our Facebook page. Thanks to everyone who has stopped by and “Liked” our Bourbon Street Facebook page. With your help we are now over fifty thousand strong and that makes for a great collection of photos and information to share. If you haven’t been to our Facebook page yet just click on the link below the header near the top of any page on the website. 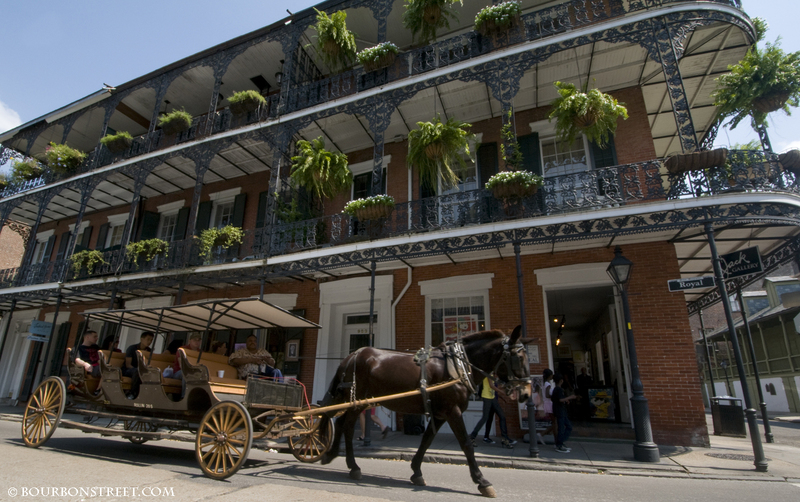 Don’t forget to share your photos from your visit to Bourbon Street and the French Quarter.